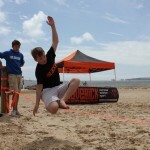 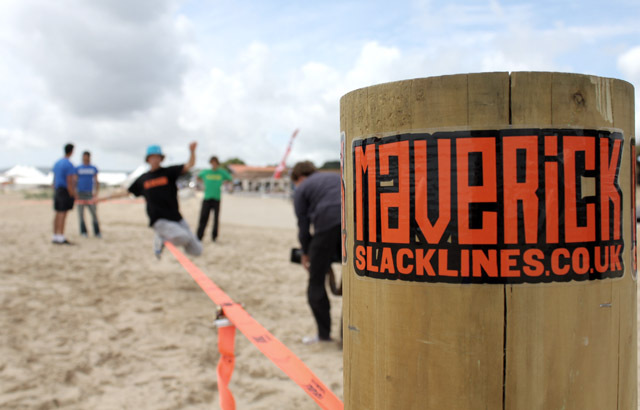 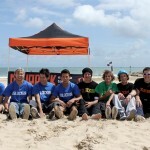 Maverick crew met up with Martin Dowse and the ITV Meridian film crew today on Sandbanks beach to launch the first UK beach slackline park. 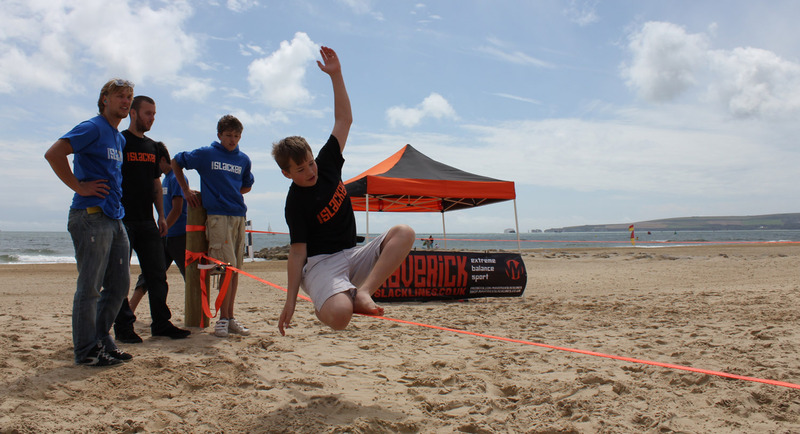 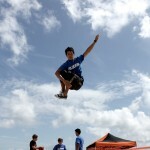 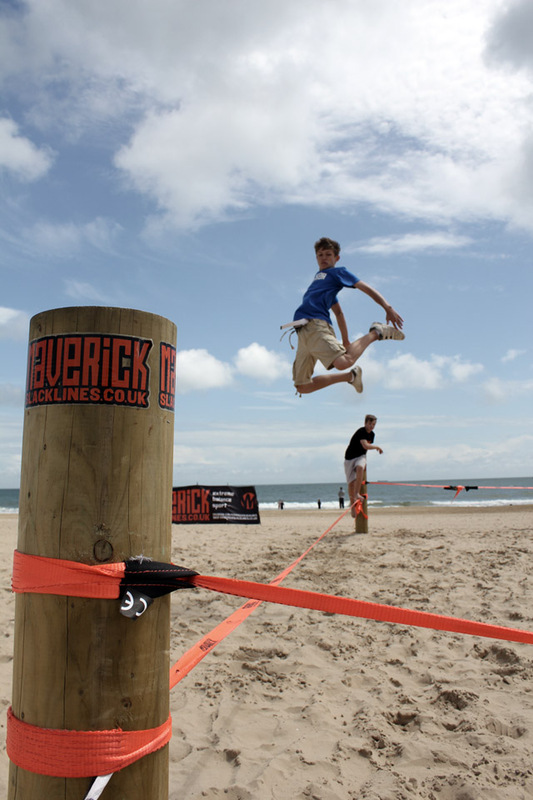 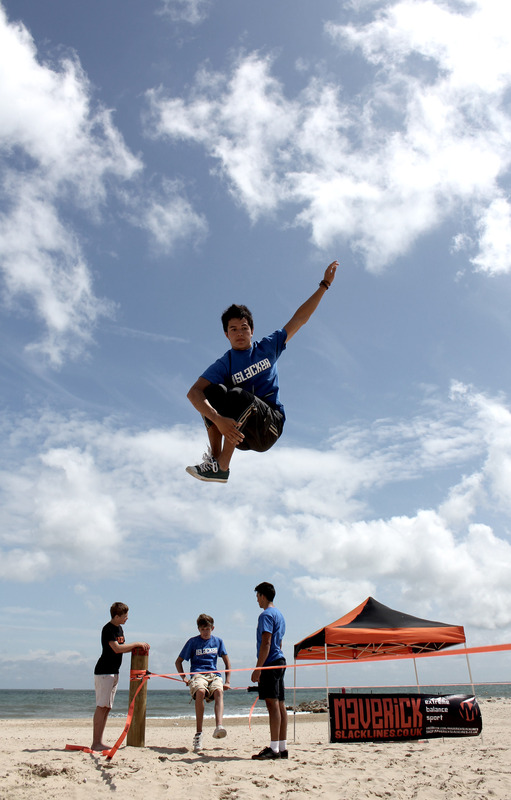 Maverick has recently been working with Richard Nicholson at Poole Council Leisure Services to create the UK’s first purpose built Slackline park. 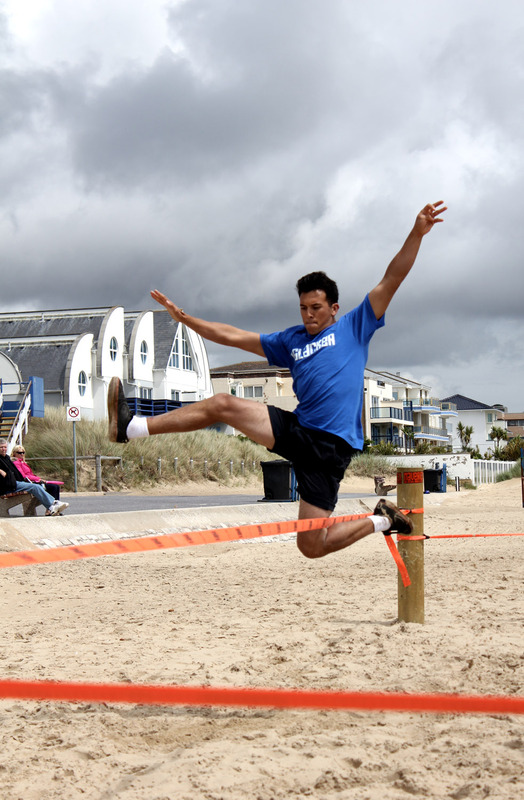 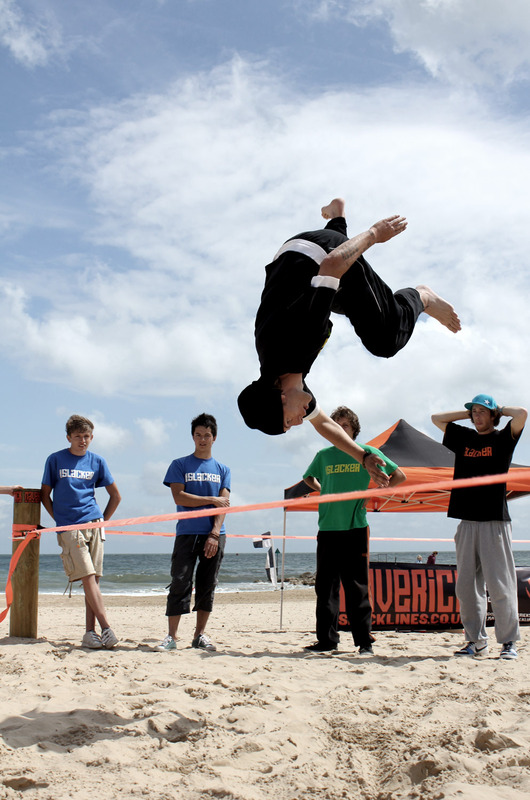 Situated in the millionaire’s playground of Sandbanks, the Slacklinepark will be open all year round for wannabe slackers to hone their skills against the backdrop of the stunning blue flag beach. 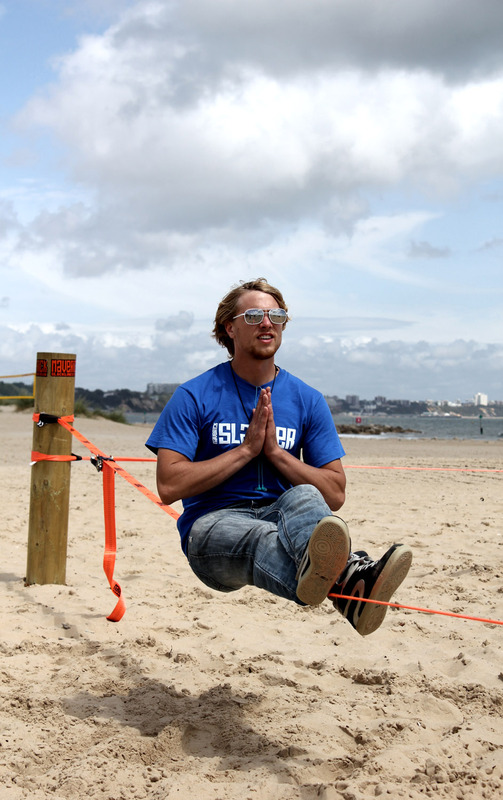 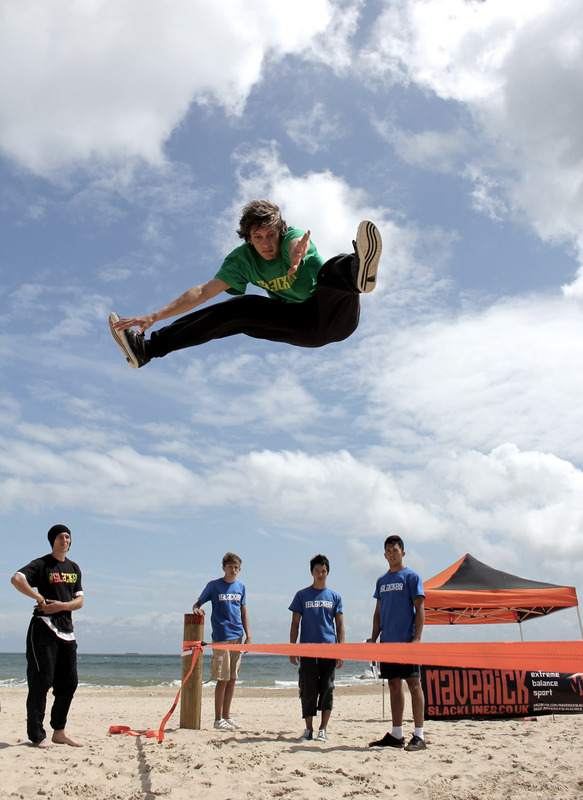 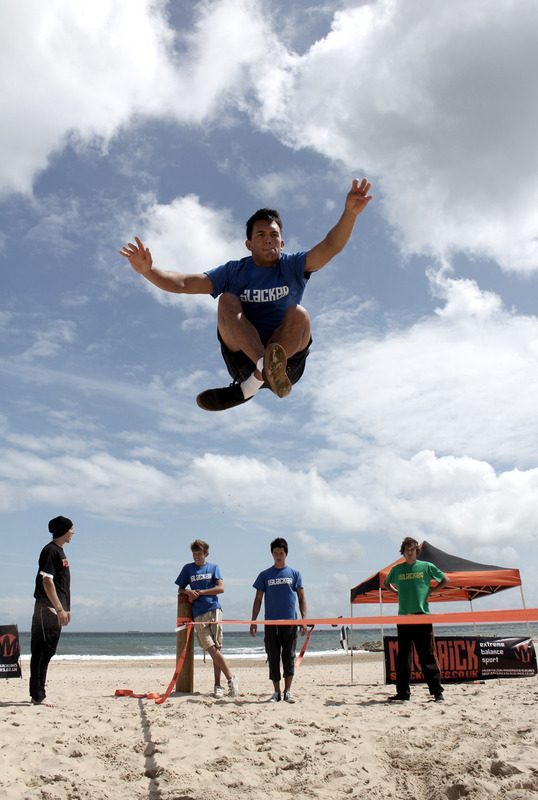 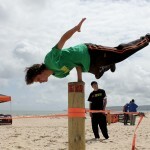 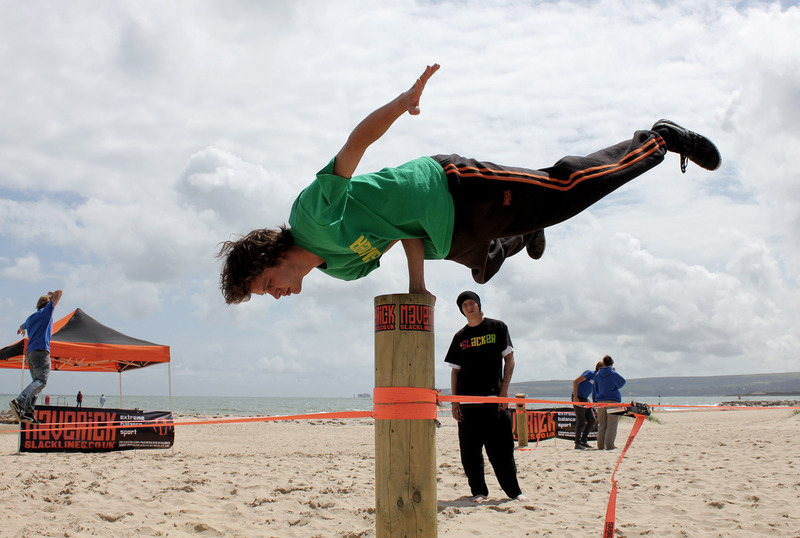 Bournemouth Council will be following suit shortly with plans to install a slackline park on the beach inBoscombe, outside Urban Reef and Sorted Surf Shop. 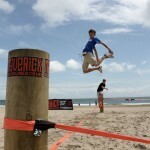 This is on track to open in time for the school holidays. 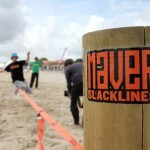 Over the summer, the Maverick team slackers will be on hand to teach the basics of balancing on a line as well as the fundamental tricks of the trade. 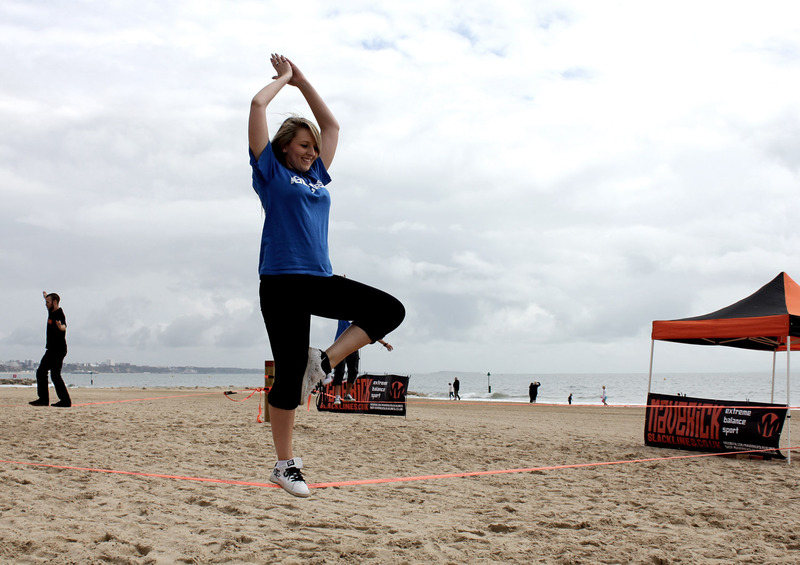 Every time a beginner comes off the line at the slackline park they get straight back up to see if they can get that little bit further – the addictive nature of the slackline gives it a universal appeal.